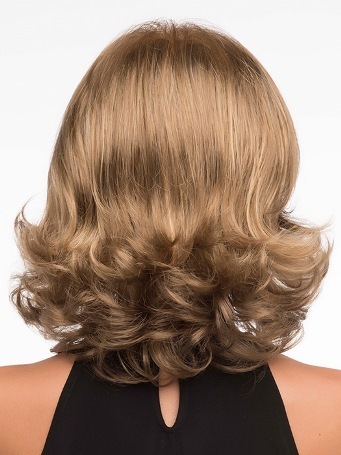 Jade by Envy is a gorgeous Large cap shoulder length style with soft curls. You can't help but feel natural looking in this beautiful head of hair! The pre-cut lace front gives the appearance of a natural hairline. Natural and beautiful. This wig is only available in a Large cap - fitting up to a 23" head circumfrence. Bangs: 8" Crown: 8" Sides: 7.5" Nape 7.5"